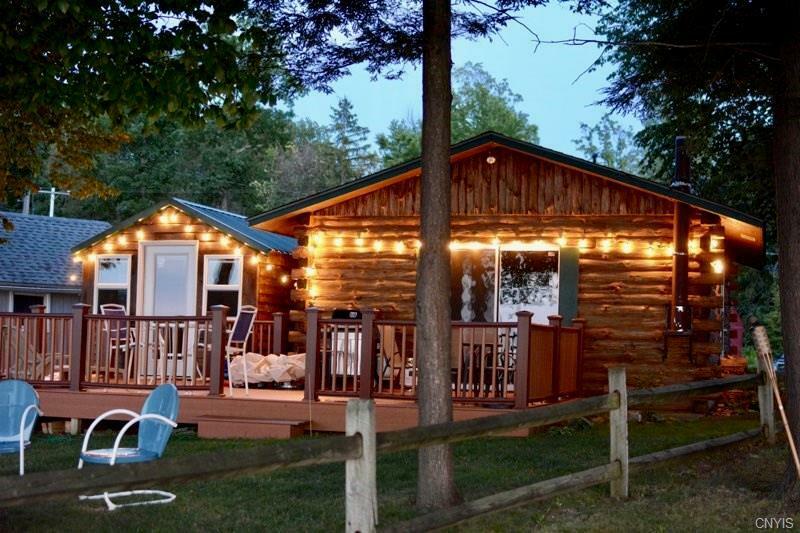 One of a kind LOG CABIN on the shores of Lake Ontario! Enjoy the Incredible Sunsets, or sit by the evening CAMP FIRE as the cool breeze blows in from the Lake. Many impressive updates including 2 TIER STAIRS down to the WATERFRONT, Updated Bathroom, Updated Kitchen, New Refrigerator, New HOT WATER HEATER this month, and a large maintenance free Composite deck. And most important the addition of a BUNKHOUSE for additional sleeping quarters. Get ready for a great SUMMER or a year around get away and truly enjoy your time by the water!